As one of the hottest devices to hit the market this far into 2011, the HTC EVO 3D has some seriously high expectations to live up to. We managed to get our hands on the U.S. only version of the device, which is sold exclusively from Sprint Wireless, and here are our initial impressions. 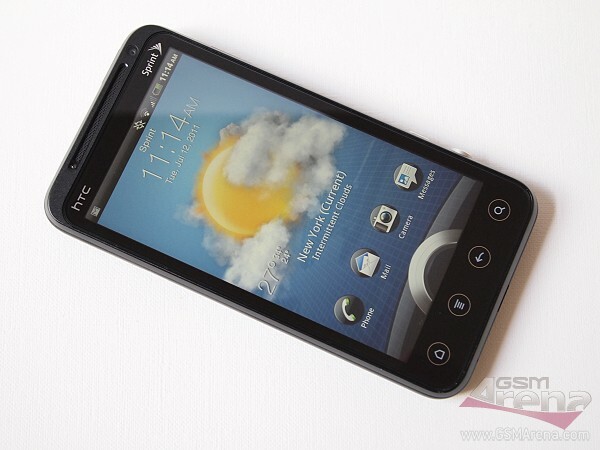 In terms of hardware, the HTC EVO 3D is not significantly different from the HTC Sensation save for a couple of things. First, it boasts two 5 megapixel camera units which are bound to satisfy your 3D imaging or 3D video capture needs. The qHD screen is capable of showing 3D imagery as well. The second difference, which the EVO 3D has with the Sensation 4G is the amount of RAM memory – it packs a cool gig compared to the 768 MB found in its non-3D sibling. As far as build quality goes, the HTC EVO 3D completely lives up to the high standards set by the HTC devices which preceded it. It is made of high-quality, soft feel plastic, which has a very pleasant texture, helping it avoid slipping out of your hand. It is by no means thin but, given the 3D camera unit, we cannot expect it to be. The EVO 3D comes with Android 2.3.3 Gingerbread out of the box. The latest version of Sense 3.0 is on board too, so you can expect some serious eye candy effects when you use the phone. Our first impressions of the HTC EVO 3D is that it is fast, seriously fast to work with. It looks like that extra bit of RAM has been put to really good use compared to the Sensation 4G. We do have more featured posts of the EVO 3D in the works, so get your 3D glasses ready and stay tuned.